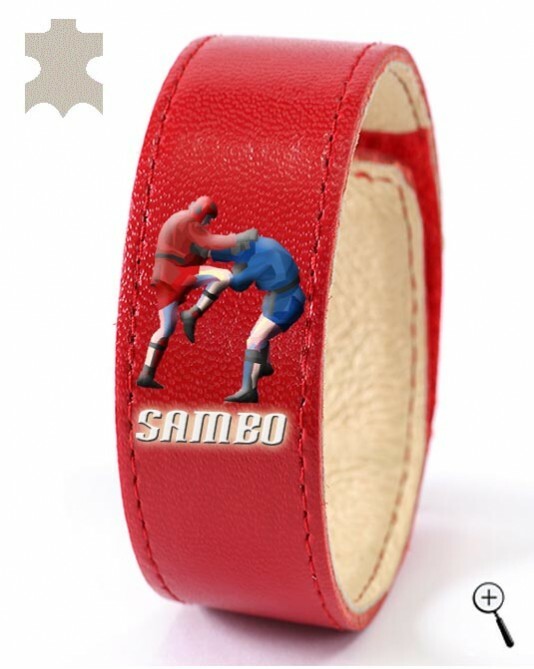 The red leather wrist band with a drawing of "Sambo" grip and integrated magnet is made of genuine leather. The leather wrist band absorbs sweat of the body without stifling in the contact area. Cleaning of the leather wrist band is easy, by rubbing the lining with a soft sponge in lukewarm water.